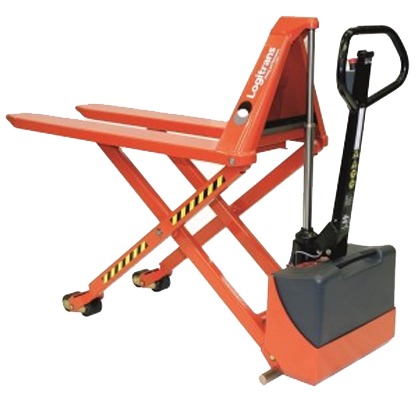 High Lift Pallet trucks and Skid Lifters are the easiest way to raise a load, a present it either to a machine at the correct height, or to an operator so that he or she does not have to bend down. 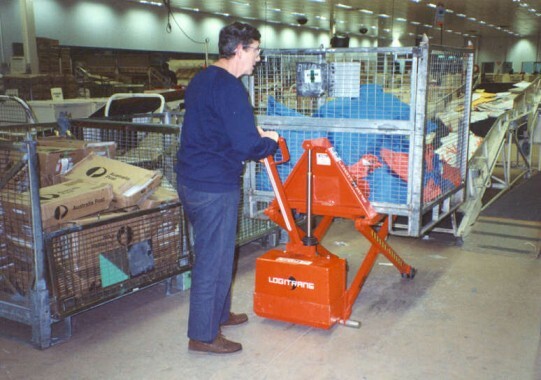 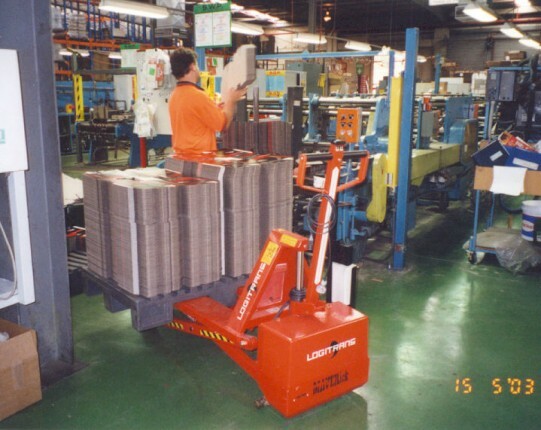 High Lift Pallet trucks are Skid Lifters do not work with the Standard Australian Pallet which has bottom boards. 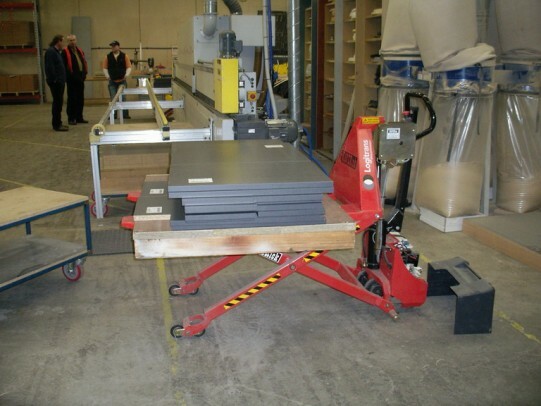 They will work with Stillages, Euro Pallets, crates as long as they do not have a base board or stay. 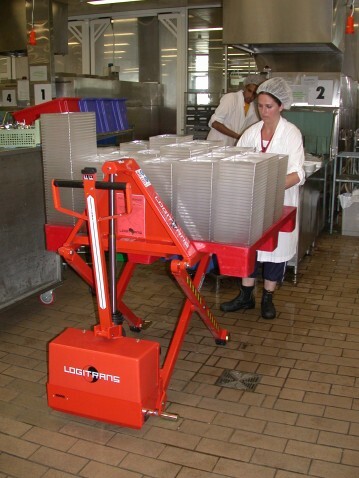 1500kg Capacity, available in both Manual or Electric lift versions, in either standard painted units or stainless steel for wash down or corrosive environments. 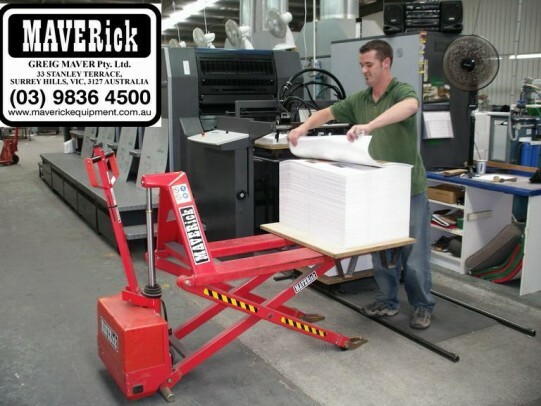 The highlifter can transport and lift a pallet to the right ergonomic working height, loads of 1500kg can be transported down low, and loads up to 1,000 kg can be raised to a safe working height of 800mm with the high lifter. 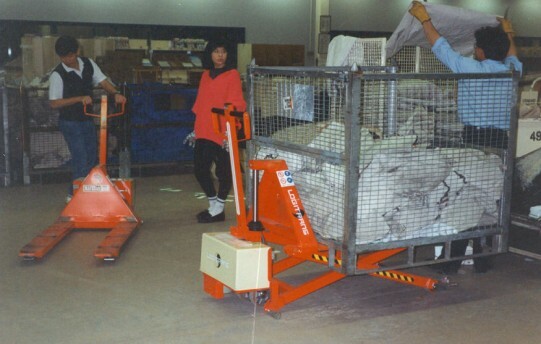 From 470mm the lifting capacity is.